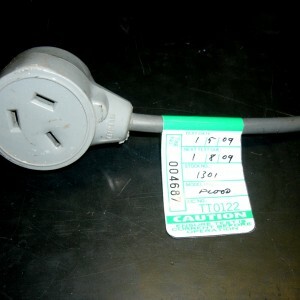 All our equipment is Test and Tagged in compliance with Australian Standard 3760 for Electrical Safety. We can do this for your equipment also. If you use any electrical equipment and if you are working in various different venues then your equipment needs to be tagged for electrical safety. Cost is approximately $5.00 per tag depending on what items you have. Each tag is valid for 3, 6 or 12 months depending on your usage. Cost also includes a log book record in XL spreadsheet format. Email Mark Barry with a list of your equipment and we will reply with a total cost.